The first to run the gauntlet was the Ngoma Microlot #3 from Burundi, a small batch of wet processed beans. The pourover produced a medium-bodied brew of chocolate, lemon, berry, grape tomato, rhubarb pie and cashew proving bright and rich. The french press resonated a similarly bright delight of chocolate, blueberry, lemon, rhubarb, cashew and almond croissant. The siphon made for a great brew of similar flavors with a little less punch and touch more creaminess in texture; while the least exciting, it still made for a good cup of coffee. To put it simply, I wished there was more of this Burundi as it made for great coffee. The next on the docket was the Bloom and Bough, a seasonal light roasted blend. The pourover begot notes of chocolate, pecan, fig, heavy cream and rye toast in a medium body; a delicious and smooth infusion. I found a much better brew with the french press, full of fig, cream, apple, light pecan and a little caraway seed in a luscious, medium body. 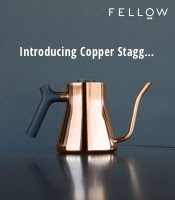 The siphon rounded out the experience with a sweet yet slightly crispier brew of creamy chocolate, fig, cilantro, lettuce and light bran in a medium body. All together, a fine coffee with several pleasant facets. The Finca Auroro Xolhuitz of Guatemala finished out the series, an UTZ Organic coffee from southwest Retalhuleu. My experience with the pourover produced flavors of plum, sourdough, dark chocolate and Dr. Pepper, a thick yet candied concoction. The french press made for a lightly spicier coffee, with notes of plum, rye, oregano and Dr. Pepper in a full, medium body. The siphon brought it home kicking forth notes of nougat, cream, plum, italian seasonings and fresh buttered bread within a medium body. Definitely a great Guatemalan coffee full of sweet, toothsome qualities. Needless to say, you don't need to be a resident of CNY to experience Copper Horse. Check out their website for current offerings and try out their beans today. 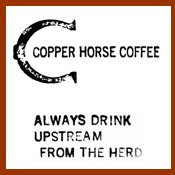 Love me some Copper Horse Coffee!!! It's best in the morning and all other parts of the day, I prefer mine with Toast and all other kinds of food! The Carmen Estates is amazing as are most other roasts and profiles! As a Coffee lover myself, it was interesting to read your article on the so many different kinds of flavors you tried. 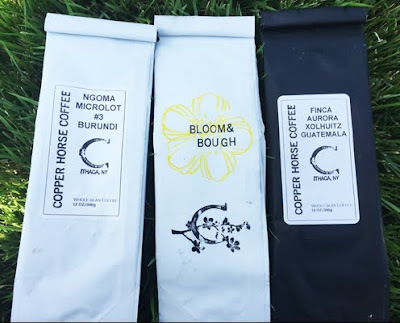 I think my favorite out of all of these would be bloom and bough, it's a very 'Seattle' kind of a drink, made popular by the many cafes in the city and I can see it has now spread around the world.